Heidi Lewis Coleman is currently exhibiting several of her mixed media assemblage pieces in AESTHETICS & WHIMSY at the Harrison Public Library. 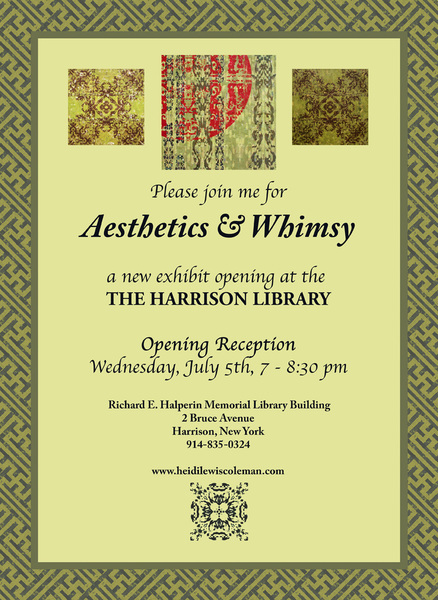 Please join us for the opening reception on Wednesday, July 5th from 7 - 8:45 PM. Show dates: July 1st - 28th. The Harrison Public Library is located at 2 Bruce Avenue, Harrison, New York.